This is a wonderful tribute from her closest friend. Cassandra had lost a personal treasure and the wider world had also lost a treasure. Austen was only 41 when she died; who knows what else she might have written if she had lived longer. I suppose we will have to be philosophical about it, and instead focus on the positives. Her works – the six major novels, plus the lesser works and juvenilia have given me and hundreds of thousands of others worldwide many hours of enjoyment and enriched our lives. In fact, Austen’s works were actually prescribed reading for former WWI soldiers to soothe them. There is comfort in reading her novels, in a world where everybody knows their place, but there is more to their popularity than just that. This is one of the things I love about her work – the details are exquisite, the embroidery of the details and humour makes it come alive. I love Charlotte Bronte’s work, but I really think she was unfair to Jane here. Not only was Jane forging a path that Charlotte could benefit from in the departure from the norm in the new style of work that she was writing but I find Jane’s books so much more real to me, as they don't have the dark streak and melodrama that are so often found in the works I've read by the Brontes and are things which are thankfully absent from my life. I was lucky in that I ‘found’ Austen fairly early on in life. Teenage Ceri, in the pre-internet era, was mooching about the house on a rainy day and feeling pretty bored. So I thought I’d read a book. This in itself wasn’t unusual because I read books A LOT. So, I was perusing my mother’s bookshelves and found a book called ‘Sense and Sensibility’. I was vaguely aware that this was a famous book, and if it was that old and still famous then I reasoned that it was probably quite good, so I read it. Since I always enjoyed quite old books (the Secret Garden, Heidi etc.) the vocabulary wasn’t an obstacle to me, and I found, to my surprise, that not only was it quite good, it was also quite funny. 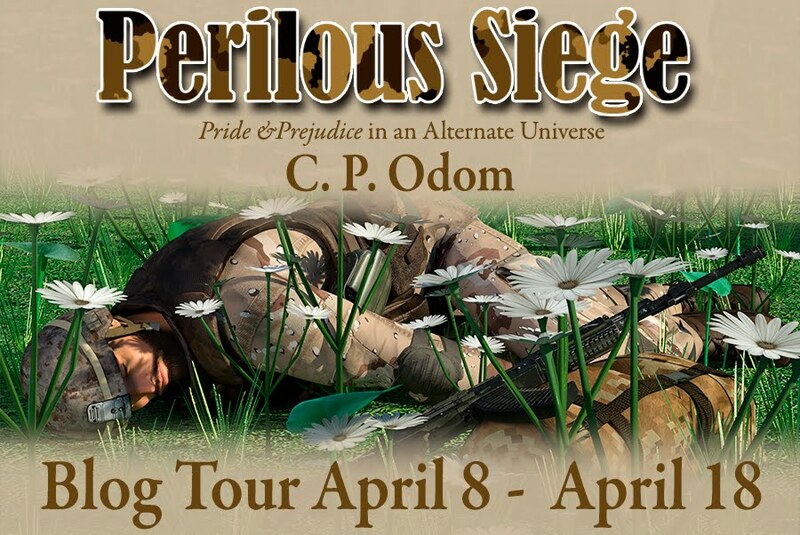 So I embarked upon ‘Pride & Prejudice’. From the first line, my attention was caught and within no time at all I had fallen in love with the book. I found Elizabeth so relatable; she was just like me but with a tall, handsome admirer. What was not to love?! It amazed me then and still amazes me now that Austen was able to write a character that was so timeless, despite the time gap and societal change, Elizabeth was easily accessible to a young person reading the story nearly 200 years later. 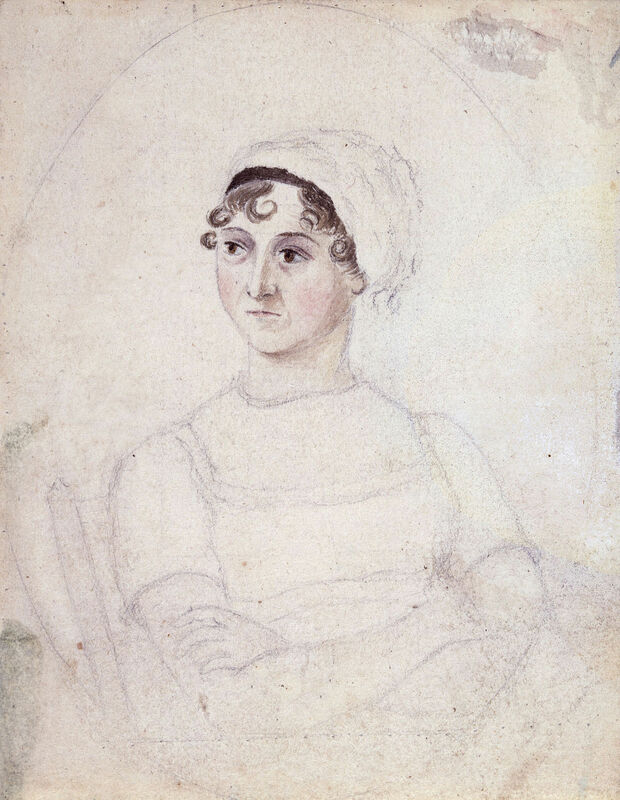 I went on to read Austen’s other main works, and her letters, and I found that, as funny and as biting as her humour was in her published works, she was reining it in. The woman had a truly wicked sense of humour. She would without doubt have a place on any fantasy dinner table of mine! Austen wrote some very quotable quotes. I would just like to share some of my favourites with you. This first one sums up one of the reasons she is my favourite authors. I read for escapism - other people may like gritty realism; they are welcome to it! I want happy endings. And this one, which tells me that we have the same idea of how to have a good time! ‘By the bye, as I must leave off being young, I find many douceurs in being a sort of chaperon, for I am put on the sofa near the fire and can drink as much wine as I like.’ – Jane Austen – Letter, 1813. And this one, which is so true. So today I’ll spare a thought for Jane Austen, and be thankful for the wonderful works she brought into the world. What is it about Jane’s work that speaks to you? Do you have any favourite quotes that you’d like to share? Let me know in the comments and have your share of the conversation. Wonderful tribute Ceri. One of her quotes that always stuck with me but I can't remember it spot on is: A certain lady was delivered early of her child owing to a fright, perchance she looked at her husband. Ouch!! Me thinks she had a bit of an acid tongue. Ouch, that was one of her zingers! I wonder at the contents of Jane's letters that Cassandra destroyed if something like that got through! I understand that the family portrayed her as very good and ladylike in the prim Victorian era when her work was having a spell of popularity, but I much prefer the unvarnished Austen. She seems like she had a really wicked sense of humour. Delightful post Ceri. What a day... I don't know how to feel... joy or melancholy. So... I shall rejoice in her life, revel in her work and play among the many JAFF friends I have made due to the influence of her genius. Have a blessed day everyone. I know just what you mean, Jeanne, I feel sad that she had so little time on this earth, and never knew just how popular her works would become. To be so hugely popular and remembered long after you are gone is very rare. I feel quite indebted to her for the positives she's added to my life and I know I'm far from alone in feeling that. Ceri, this was so lovely...bringing me near to tears. I will be at a library book club tonight to discuss her Mansfield Park. I have always like her, "Think only of the past as its remembrance gives you pleasure." Sometimes it is difficult to let go of bad memories so it is one I attempt to use. Thank you, all, for sharing. So many of her quotes are really wise words aren't they Sheila. That's one that I love too. Isn't it wonderful when you can remind yourself of something useful with such a beautiful phrase! What a beautiful tribute. I do not care for the Brontes. 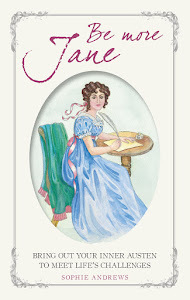 If I am going to read I want an HEA an Jane does it admirably. I quite like the Brontes but I'd choose Austen over them any day. I completely agree with you on wanting a happy ever after. There is enough misery in the news and the world for me to choose read about it! That is a beautiful tribute Ceri. You made me smile and and brought tears to my eyes. I would have to agree with you that the quote ‘It isn’t what we say or think that defines us, but what we do.’ is so true and you have done it admirably. Thank you! Thank you so much Carole. I felt like I could only capture the tiniest portion of what I wanted to say so I'm glad I managed to catch enough of it to convey my feelings. Wonderful tribute!!! The Adm Croft quotes and the Crofts navigation of the post come to mind at the moment. Cheers! "My dear Admiral, that post! we shall certainly take that post." May I join with the others and say what a wonderful tribute you've paid to our dear Jane. Beautifully worded,your enthusiasm and respect for this great author shines though each line of your post. I,like you,found Jane's work when I was a teenager. Little did I know then the profound effect P&P would have on me. The many sentences of highlighted text are now favourite quotes and when I'm in the need for a literary 'pick-me-up' I reach for my tattered and faded copy of this cherished book and revisit my old friends Elizabeth, Darcy and extended family. Thank you,Ceri,for such a lovely post. Thank you so much Mary. I feel just like you do, Austen's books are real comfort reads. We are so lucky to have them for the sake of the books alone but as a bonus, we've also been able to connect to other people through them. I love the quote you've added. The humour is one of the things I like best about her writing. I didn't expect something of that era to be amusing... maybe the older books I'd read up until that point were more earnest and Victorian?! Thanks for such a lovely tribute, Ceri. I was in The Twilght Zone yesterday and today working in areas with virtually no mobile phone or data signal, so I'm just starting my catchup of all the blog tributes posted. Ideally, I'd have been in Winchester yesterday but that wasn't a possibilty, but I did catch up with My Friend Jane on BBC iPlayer last night and totally loved it! It could easily have been an hour long, yet still have been too short. When it comes to quotes, I was going to mention the quote from her letters that bookworm mentioned in the first comment. It's from one of the letters in the My Dear Cassandra book you're planning on re-reading soon, Ceri. I remember the first time I read that comment! It's some years ago now and we had friends staying, the two husbands were playing cribbage (they always have a tournament when we get together) and we two women were reading. I exclaimed something along the lines of "Oh my goodness, did she really write that?" but probably slightly less politely! Then I just burst into howls of laughter. Bearing in mind that none of the rest of the company were/are Janeites, even they were astounded and amused by a comment like that coming from a writer they perceive as one who wrote historical romances. I HAVE tried to put them right on that account, believe me! My favourite quote from her fiction is Captain Wentworth's letter. As you say, it's just the most exquisite piece of writing. And to think that we might never have had it, as it's my understanding that the original ending of Persuasion, though it still had the same outcome, was written somewhat differently. Jane has brought so much into my life over the 50 years since I discovered her through the 1940 film adaptation. Having read the six novels, especially P&P and Persuasion, many times, I still find something new in them every time. Yet the most precious thing for me has been discovering a community of like-minded people with whom I can share my enjoyment and joy of Jane's works and those amazing writers who have sought to expand upon them. It's so true Anji, the more you read them the more you find in them. I think that being an audio book reader probably helps in that, because it slows down your reading speed. I only heard about the alternate ending of Persuasion a relatively short while ago, I think Regina Jeffers mentioned it. Although Austen didn't get the opportunity to edit and re-edit Persuasion over the amount of time she had with her earlier books, I am so glad that she had the chance to change the ending and give us the letter! You (and Jane through quotes) say it so well. Wonderful tribute. She lives on through her stories. Thank you Sophia. I could have put so many more quotes in, Austen is so quotable! We may not have as many stories from her as we'd like but the stories we have are exceptional. Thank goodness she published! What a wonderful post and tribute, Ceri! Sorry I'm so late in catching up with what was going on last week. It was so heart-warming to relive the commemoration though your beautiful post! I love your favourite quotes, especially the one about letting other pens dwell on guilt and misery. So very very true! I love that about her writing, I'm with you, I need happy endings :) I get so cross sometimes with her detractors who claim her novels are Regency Mills and Boon and she ignored the harsh realities of her time. We have history textbooks if we ever want to read about Waterloo and Peterloo. Give me her inimitable wit and sparkling prose anytime! Thanks again for this uplifting post!